I love those rice bags! I've got one more to make, for Natalie. Maybe I need one for my feet too! Love the tote and the quilt pattern, yayyyyy! Love your new scrap projects! For your rice bags - did you enclose the rice in an inner liner? They are really cute and would be great little gifts! Love your project ideas always! 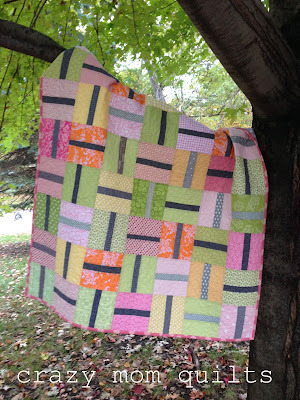 - just wish I had fabric stash as beautiful as yours! I wonder what happens to the fabric after many times in the microwave... Do you or anybody else know? I love the idea and would like to make some! I managed to miss that purse at Market. Fun fabric line though. I made a rice bag for myself many years ago, and it's been microwaved countless times. It's still holding up. I'm due for a cute new cover, but they do last a long time. 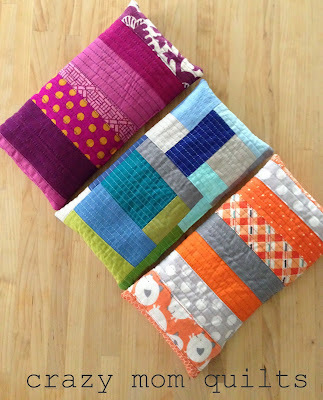 I love the rice bags and have those on my christmas list to make now! Someone asked about how the fabric holds up in the microwave. I had one for 5 years that i used often, it wasn't quilted but was made of fabric and it never showed any extra wear on the fabric. I made some rice warmers last winter. We LOVE them! I use mine all the time! Amanda, I really love your bag and the fabric from Denyse Schmidt's upcoming line Ansonia. Thanks for sharing as always. I've been making rice warmers too. I use flannel sometimes for extra snuggly-ness! Love the fabric in the bag! I love the rice bag idea! They do last a long time! Oh...and that purse. AWESOME! Sooooo glad you came over to the warm side with the rice bags. I make mine filled with corn feed. I do it in a down and dirty fashion with an inner liner of whatever scrap fabric I have on hand. I cut that liner, sew around all sized twice for secure seams and then fill. My bags are usually about 12-14" long and 6" wide. When I fill them, I sew dividing seams parallel to the 6" seam so I make 4 pockets and the feed corn doesn't slide all the way to one end. My outer layer is usually flannel in whatever I have that suits the recipient. I cut it a little larger so I can finish with with nice seams enclosed. I again double stitch the seams because my kids love these bags and they sometimes get tossed around. I finish by tucking the open end in and top stitching it closed. I used to make the outer layer removable but I have decided it's more fun to make new ones periodically. I just pitch the entire thing when I feel they are not holding the heat as well or I'm tired of the ones we have. I'm smitten with the handles on your bag. They add a fabulous finish to the bag. I can believe they were a bear to sew on but the result is smashing. I love the purse made from a collection too. Here's what you do. 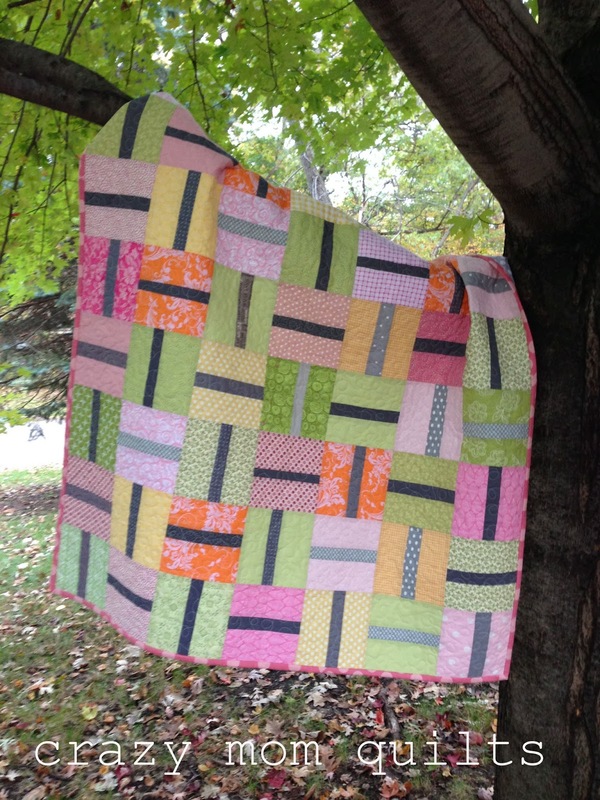 Make a piece of patchwork about 11" x 11.5", then place it on a piece of 100% cotton batting. Quilt it. Trim to 10" x 10.5". Fold in half so it is 5" x 10". Sew up the 3 open sides, leaving a 3" gap for turning. Fill with approx. 2 cups rice. Sew the opening shut. Heat in the microwave for about 2 minutes. 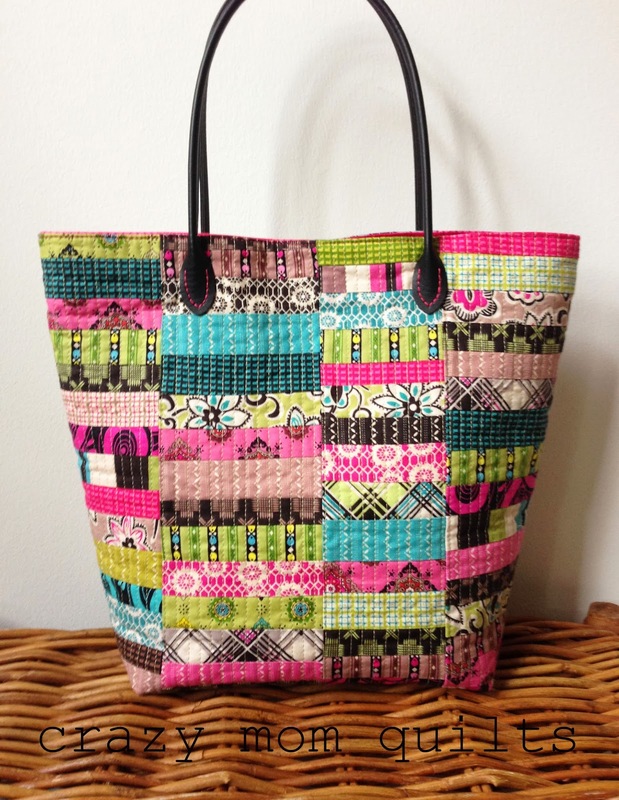 that bag looks amazing in the new DS fabric and the contrasting thread on the handles looks great ! I like how you identified a common theme for these items. The purse turned out nicely - as did the others.